Reshana Marie, a seasoned performer is well at home on any stage. 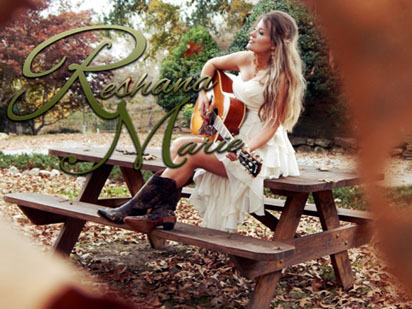 A Nashville Recording artist, songwriter, incredible Singer and musician she now fronts her very own high energy band! Performing Classic/Modern Country, a touch of Classic Rock and her originals, she can hold her own on any stage in the country alongside the best of them! was made by the family to go back to the father's roots in country music, as Sweet Water Junction Band. Reshana, in the past has also performed in a couple of other groups playing bass guitar. Reshana Marie is married to Tim McGatha, and are raising two young boys. dose Chemotherapy at Duke University in Durham NC. Her last treatment was in April of 2017. The next month she was found to be cancer free and the brain tumor completely gone! husband, Tim McGatha on lead guitar, her youngest brother, Chase McDowell on fiddle, guitar and mandolin, her father, Dave McDowell on bass, and a good friend, Cody Strickland on drums. The band features Reshana Marie and adds variety & spice with some lead vocals from the guys. each month. As she regains more of her strength she will increase her availability. Traveling by private coach allows her time to prepare before the show and when needed to rest in-between the performances.